First off, my sincerest thanks to the following folks for donating to support my run for Parkinson's & Dystonia research (here). I'll be bugging the rest of you again on a monthly basis until I reach my goal. You guys are wonderful and I really appreciate your support. Moving onwards, I wanted to mention that the 13th Annual Roxbury International Film Festival starts this week. The 13th Annual Roxbury International Film Festival begins Thursday, July 28th and runs through Sunday, July 31st, 2011. 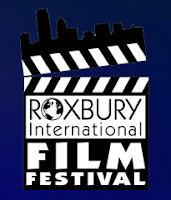 The Roxbury International Film Festival takes place over four days, with workshops, panel discussions and film screenings taking place at the Museum of Fine Arts, Massachusetts College of Art, Wentworth Institute of Technology, Northeastern University, the Roxbury Center for the Arts at Hibernian Hall and the Coolidge Corner Theatre. Ok, and since i'm in 'marathon mode' right now. My pick for the festival is definitely going to be "The Athlete" which plays on Thursday. Marathoner Abebe Bikila, the first black African to win an Olympic gold, ran his gold medal marathon barefoot. But Bikila's story becomes truly remarkable following an accident that leaves hi unable to walk. The Athlete is a well-crafted character study couched in a compelling sport biopic. I checked out the lineup, it looks like it's going to be a great festival. 0 Response to "13th Annual Roxbury International Film Festival - Starts 7/28"